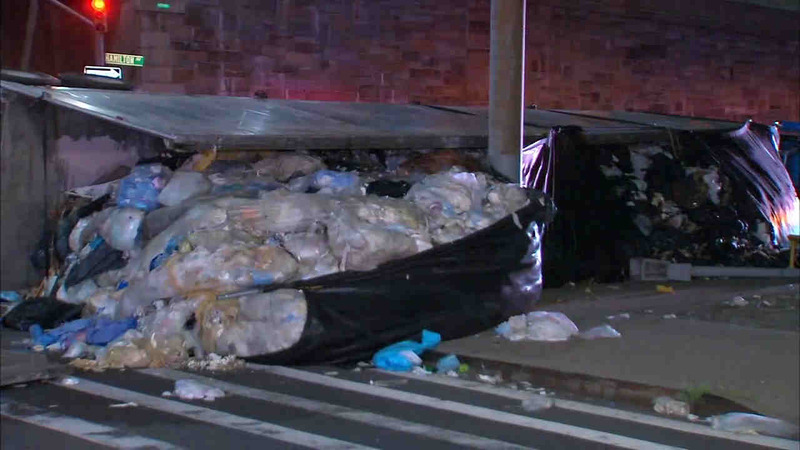 A tractor-trailer overturned in Brooklyn, spilling trash onto local streets in the Gowanus section of Brooklyn. GOWANUS, Brooklyn (WABC) -- A tractor-trailer overturned in Brooklyn, spilling trash onto local streets in the Gowanus section of Brooklyn. The truck flipped near a Brooklyn Queens Expressway ramp on Hamilton Avenue, just before 3:30 a.m. It spilled trash into the intersection. Police were looking to speak to the driver.